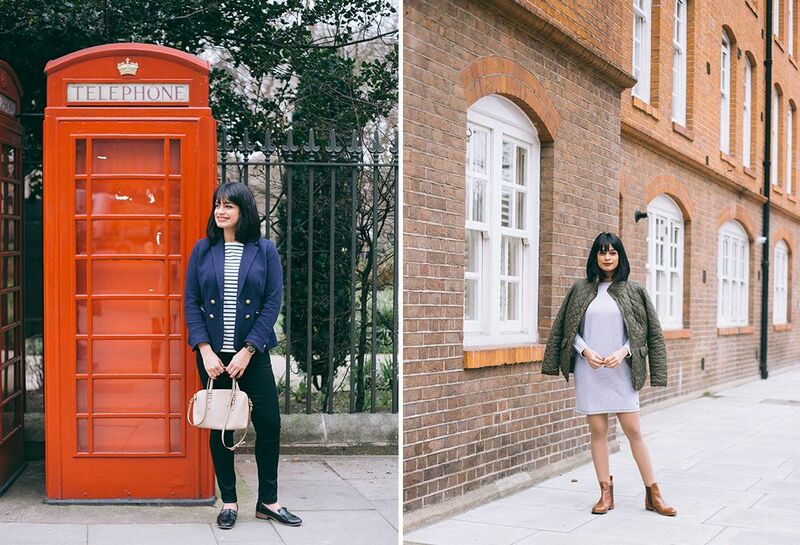 The fabulous Supal behind Chevrons and Éclairs, a fashion and lifestyle blog shows us how to dress in-between seasons. A lightweight versatile blouse like the Jocasta blouse is ideal for those warmer, humid days. 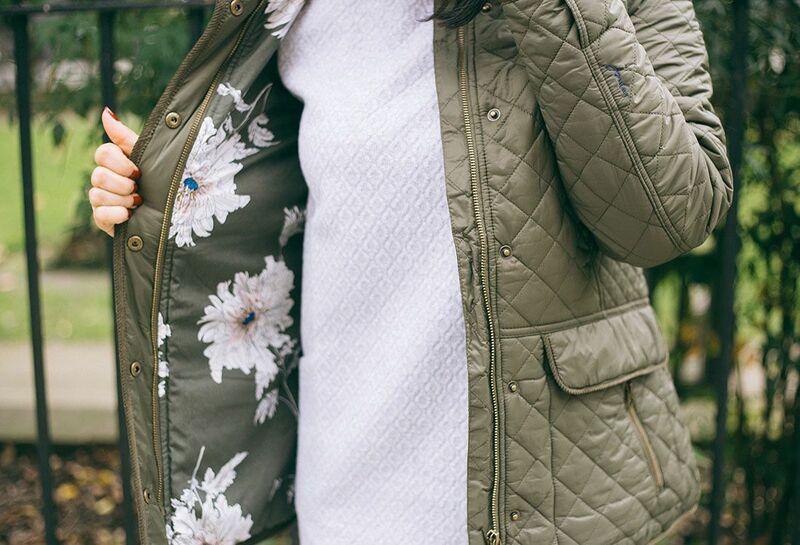 It’s lightweight enough to pair along with the Lana Edge to Edge cardigan. Both pieces flow with the light seasonal wind and can be paired with my favorite Monroe skinny jeans or any other tailored, breathable trousers. I also love that this pair can be dressed up for Friday meetings or a casual Sunday brunch. I always feel a bit neglectful to my boots this time of year and since it can get a bit too warm when paired with trousers (my go-to winter outfit) I go for a long sleeve dress or tunic. 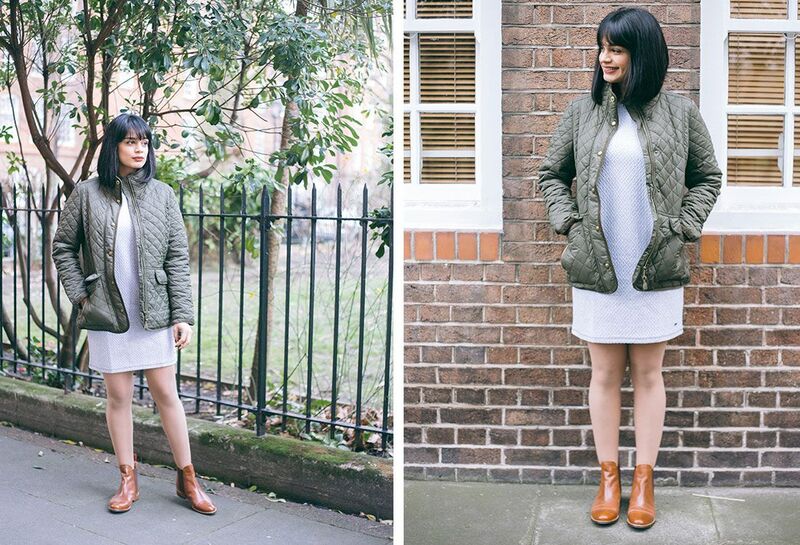 The Abi textured tunic is a great warm material and it’s fun to play with textures when you pair it with the classics, quilted jacket and Chelsea boots. 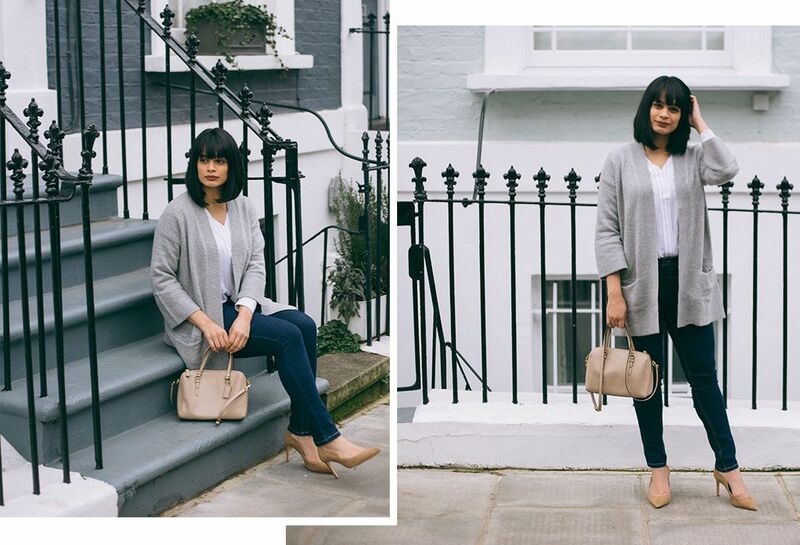 I try to keep a few high quality transitional pieces on hand that can take me from any season to the next. 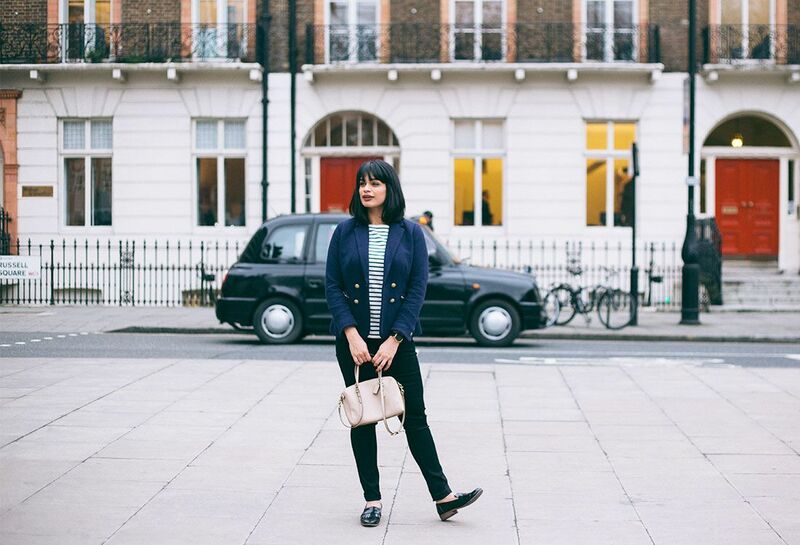 A tailored blazer and a striped breton top cannot get any more classic. 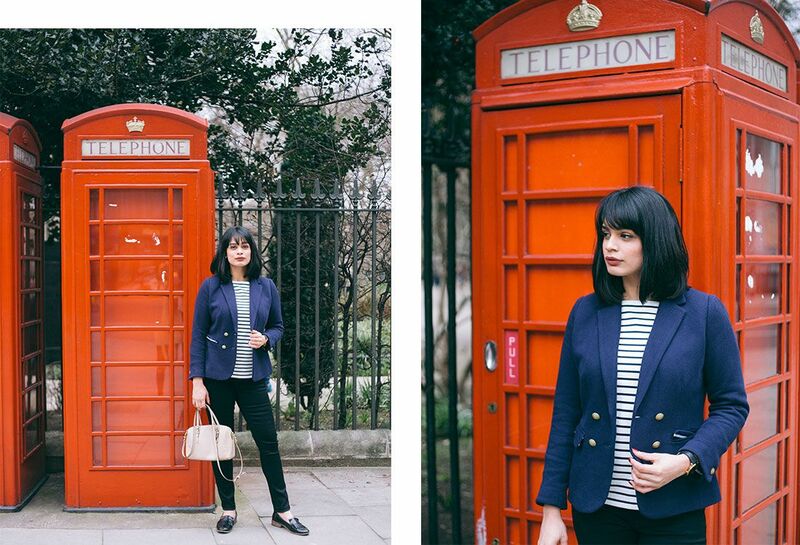 I think stripes scream warmth as they remind me of nautical vibes, as do a gold button-adorned navy blazer. 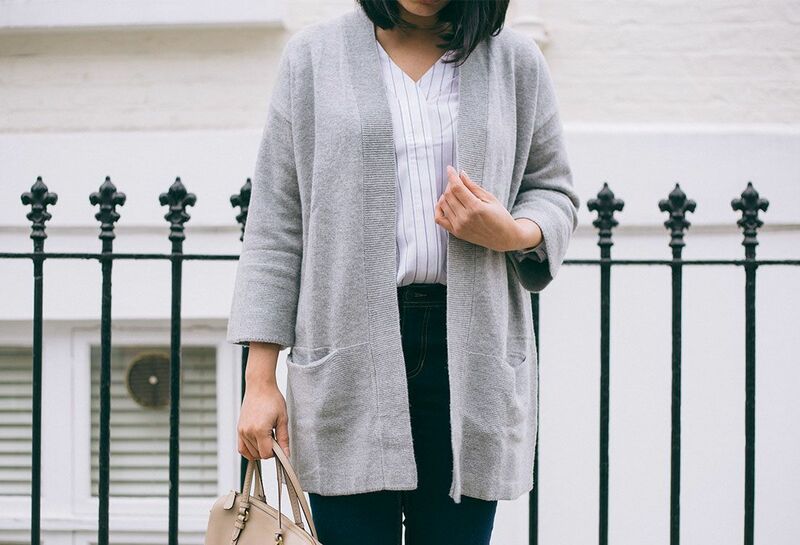 What are some pieces in your transitional wardrobe?